These simmering potpourri recipes will have your house smelling heavenly with the delicious scents of whatever season you are craving. For all of these simmering pot recipes, you will add all of the listed ingredients to a small saucepan and stir. Bring to a boil and reduce the heat to low. As the liquid evaporates continue to add more, whether that be cider or water. You can reuse the recipe mix for approximately a week or so. Store in the fridge after each use. 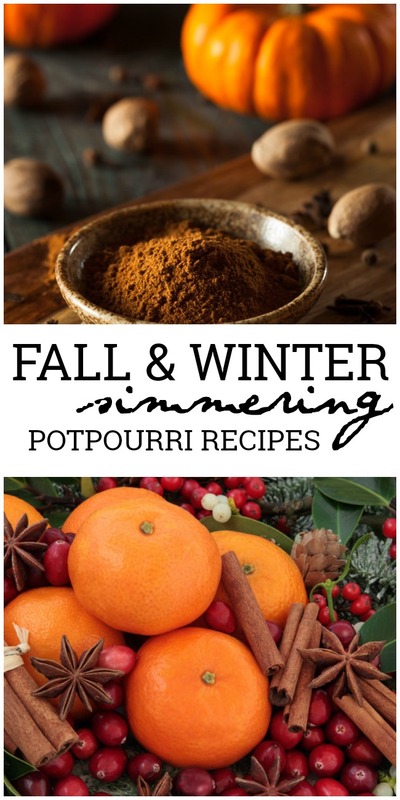 I love these simmering potpourri recipes because I can make my house smell amazing without blowing through an expensive candle every week. Don’t get me wrong, I still love my candles but I could burn a whole one in a day. 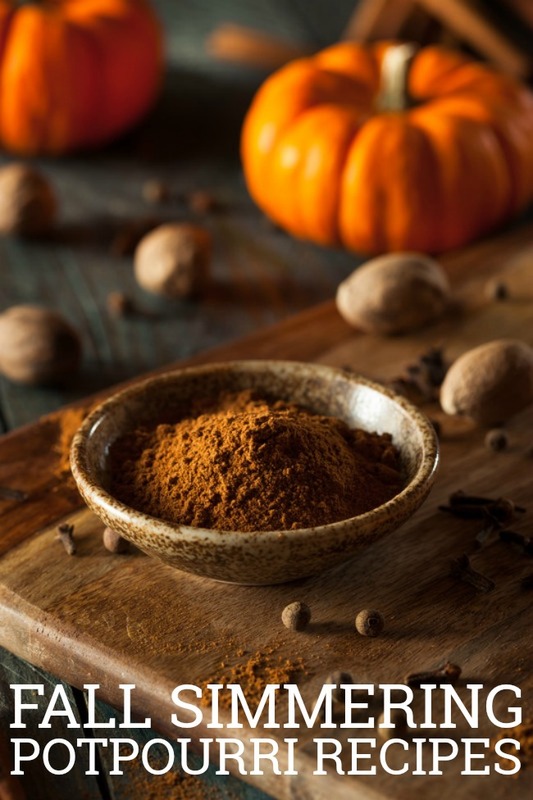 The crisp scent of fall is in the air but you can also have it in your home with these simmering potpourri recipes listed below. Of course, the first one is pumpkin spice. You can’t-do fall without that iconic scent, right? Speaking of apples… The next scent is apple pie. Yum! You don’t have to go through the long process of baking an apple pie to enjoy that aroma of the fresh baked goodness. These next two recipes make a yummy and cheerful smelling pot that’s sure to get you in the mood for the Christmas holiday! Enjoy my favorite recipes, but feel free to experiment! 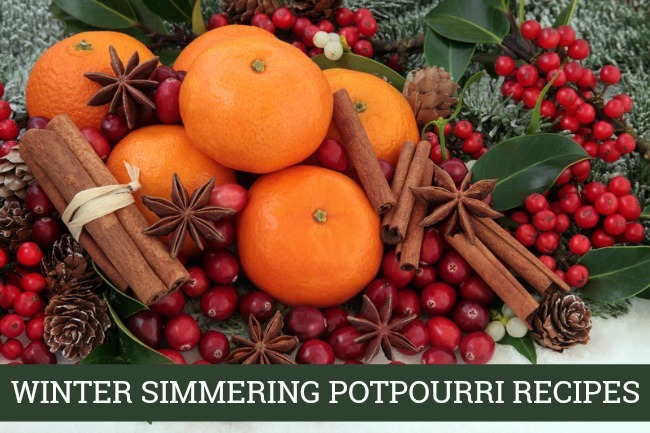 The beauty of these simmering potpourri pots is that there are no rules. Add in what you love and see how it smells. If it needs something extra then go ahead and add that in too. Let me know if you add anything extra to your recipes. I would love to try it sometime. Not sure about simmering it in a pot? Here are some awesome dried potpourri options. *affiliate links. The apple pie sounds wonderful!! !